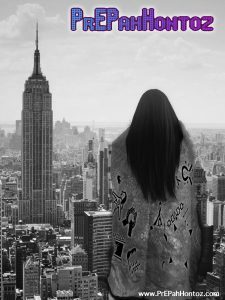 New York City, USA, 2018-Jul-20 — /EPR Network/ — After successful exhibit events at prestigious venues like New York’s Whitney Museum of Art, and the United Nations Permanent Forum On Indigenous Issues, Lakota artist and traditionalist Sheldon Raymore brings his ground breaking “PrEPahHontoz Tipi Project” to Amsterdam, Netherlands at the International Indigenous Pre-Conference on HIV ands AIDS 2018 – July 21st-22nd – as well as the 22nd International AIDS Conference – July 23rd-27th. The International Indigenous Working Group On HIV & AIDS (IIWGHA) who is hosting the Pre-Conference says, “It is themed around building bridges across the world and uniting our strengths in order for Indigenous Peoples to take their rightful place on the international stage (www.iiwgha.org).” Both conferences have values that speak to the heart of what Raymore has been cultivating for years both as a Native American artist and an HIV/AIDS advocate and activist. Raymore initially invented his performances character “PrEPahHontoz,” to encourage indigenous individuals to seek PrEP services, and consider adding the once daily pill that prevents HIV infection to their prevention arsenals. 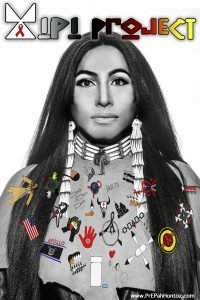 Having released her debut single “Take The Pill,” last year, PrEPahHontoz captivates audiences with her unique blend of Native American sign language, urban voguing, and tradition. 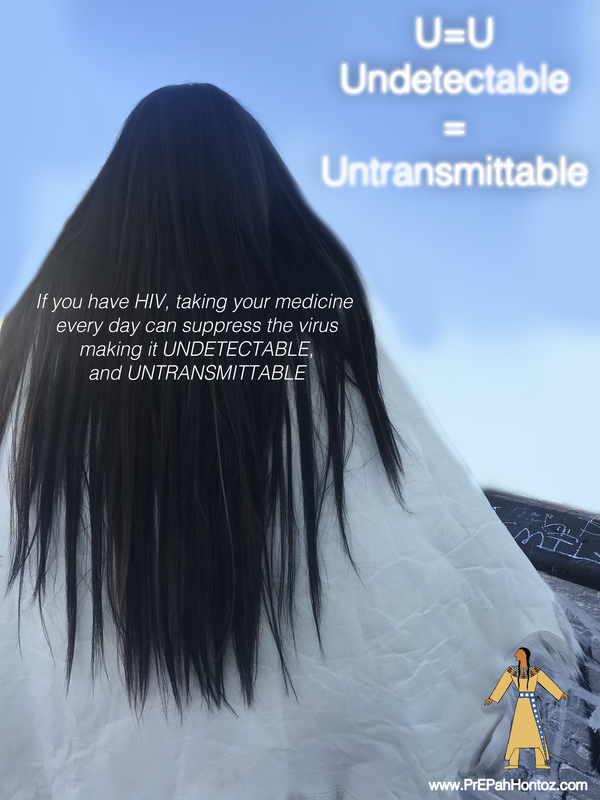 PrEPahHontoz drives home HIV/AIDS awareness and prevention in an innovative way that honors Indigenous traditions in a modern world. “As Indigenous people, story telling is an important part of our culture. Art is a way to convey stories and ideas in a fun and engaging way,” says the South Dakota native. “As I began to see the absence of the native voice and narrative throughout the story of the HIV/AIDS epidemic and movement, it became clearer that there was a need for an intervention like the ‘PrEPahHontoz Tipi Project’ to facilitate that narrative, and to fight the silencing of our people,” says Raymore. With support from the American Indian Community House NYC, Office of Minority Health Resource Center, Indian Health Service, United Nations Population Fund (UNFPA), Gofundme Donors, Individual Artists, and Volunteers, the “PrEPahHontoz Tipi Project” harnesses the traditional and cultural relevance of the Lakota “winter count.” Historically, each hand drawn symbol tells the story of an important event that happened during that year among the Lakota tribes. Usually drawn and/or painted on a buffalo hyde, these winer counts serve as a traditional history book. The “PrEPahHontoz Tipi Project” marks important events in the Native American community throughout the past 30 plus years of the HIV/AIDS epidemic with a winter count designed for an event that has happened each year. They have been hand drawn and painted on to life size tipis by Raymore and native volunteer artists from the NYC indigenous community. The result is a breath taking living piece of art, history, and resilience. “The tipi project utilizes art and culture as prevention and treatment,” says Raymore. “Conversations about HIV/AIDS can be difficult to have in native circles. As the artists were given a year and event to create a winter count for, these conversations happened naturally,” he explained. United Nations representative Véronique Lozano expressed her feelings about the project, “the prepahhontoz tipi project Is a perfectly culturally appropriate artwork bringing attention to indigenous peoples often made invisible and left behind but that are also greatly affected by HIV. “ Lazano has been a tremendous support, and quite instrumental in the “PrEPahHontoz Tipi Project” exhibiting at both conferences. Taking a nine foot painted tipi from New York to Amsterdam is no easy task. Raymore’s delivery of his message of accountability and action to Amsterdam is powered by the United Nations Population Fund (UNFPA), the Office Of Minority Health Resource Center, and IHS. “I’m really excited to attend the 7th International Indigenous Pre-Conference on HIV and AIDS, and the International AIDS Conference in Amsterdam, Netherlands. This is such an amazing opportunity to be apart of the Indigenous representation at both of these events,” says Raymore.